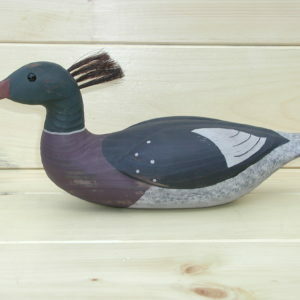 Decoy fanciers invariably choose the Mallard Drake as the one bird they like best and it is one of the most recognized ducks in the world. 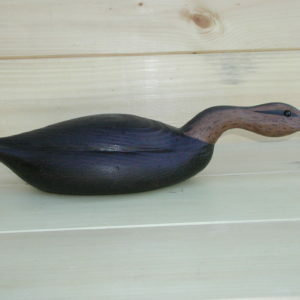 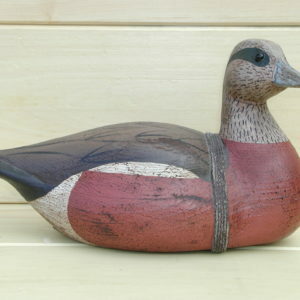 Our beautiful handcarved Mallard Drake is apprx. 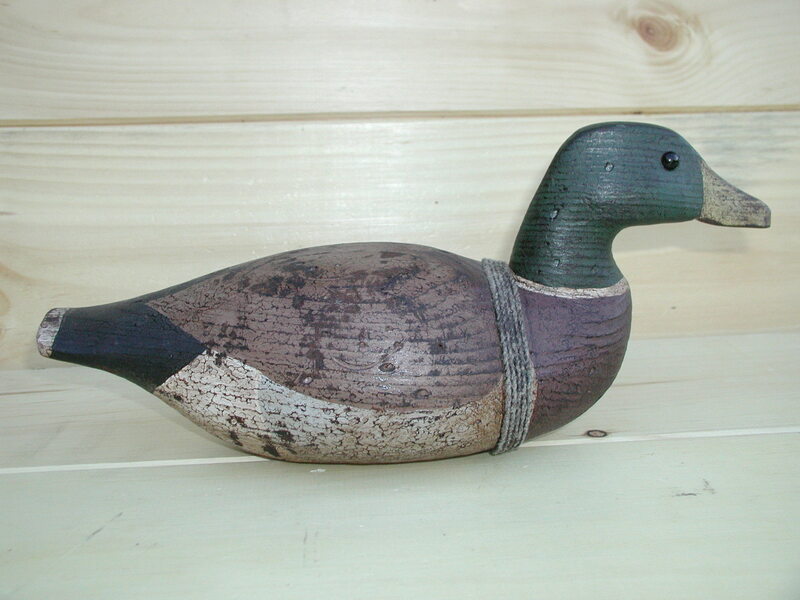 14″ long x 5″ wide x 6 1/2″ high. 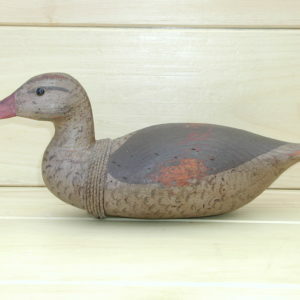 It is branded with the “WHITE” name, features black glass eyes, lead weight, an anchor line, and a distressed patina.